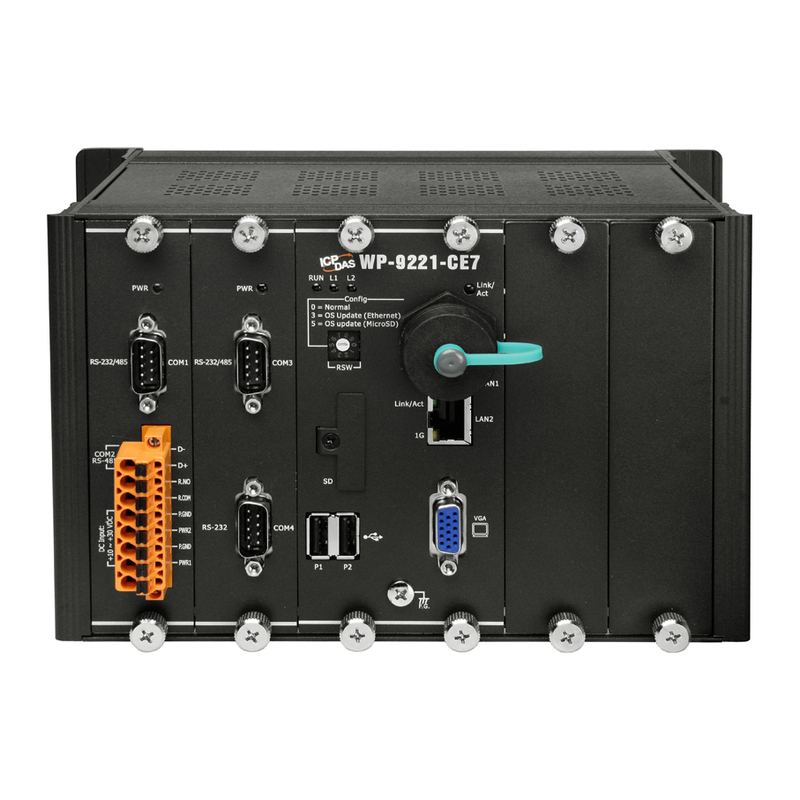 The WP-9221-CE7 is the new generation Windows CE 7.0 based PAC (Programmable Automation Controller) of ICP DAS. 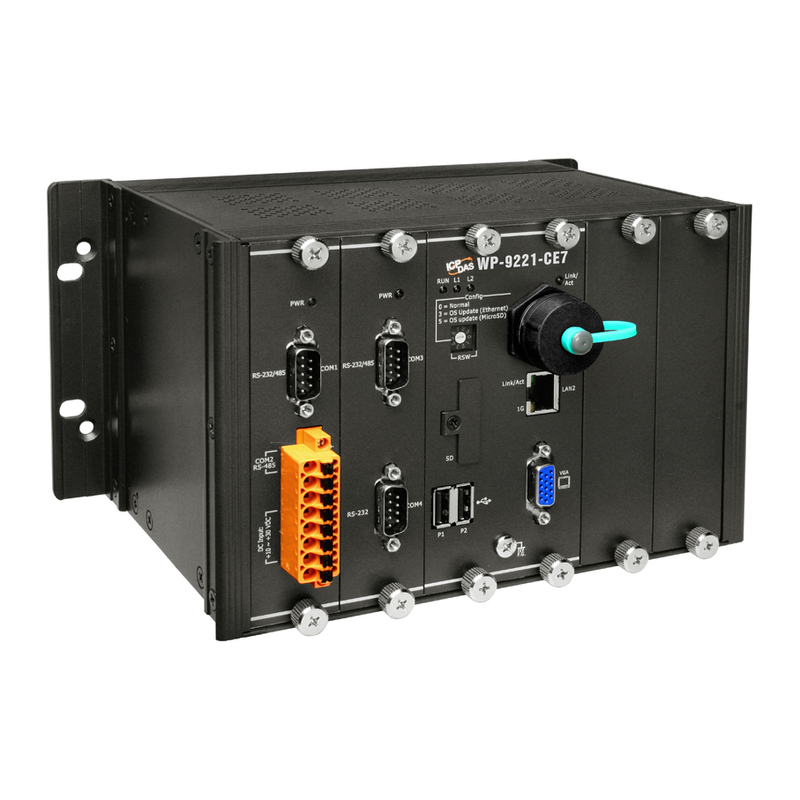 Each WP-9221-CE7 is equipped with a Cortex-A8 (1.0 GHz) CPU running a Windows CE 7.0 operating system, a variant of input/output ports (VGA, USB, Ethernet, RS-232/485), and 2/4/8 expansion I/O slots that can be used to integrate high performance I-9K (parallel-type) and I-97K (serial-type) series I/O modules. 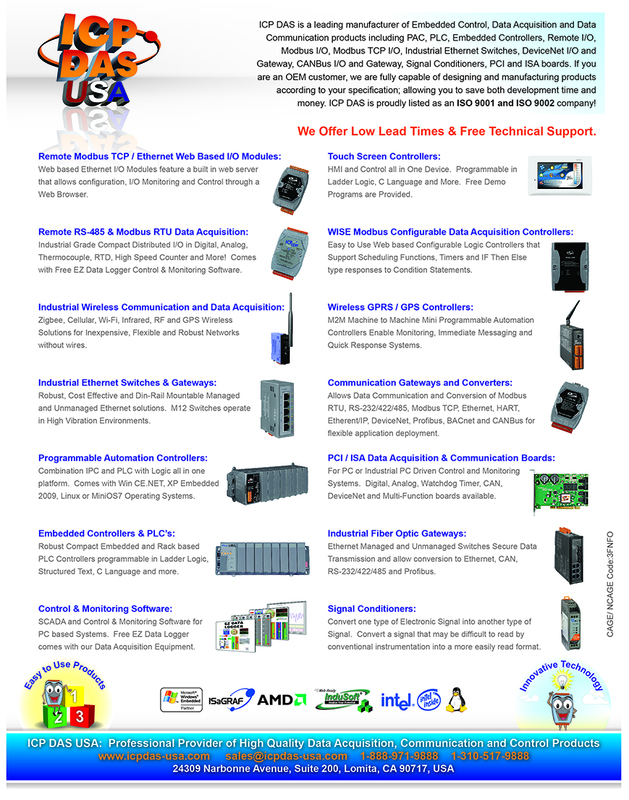 Its operating system,Windows CE 7.0, has many advantages, including hard real-time capability, small core size, fast boot speed, interrupt handling at a deeper level, achievable deterministic control and low cost. 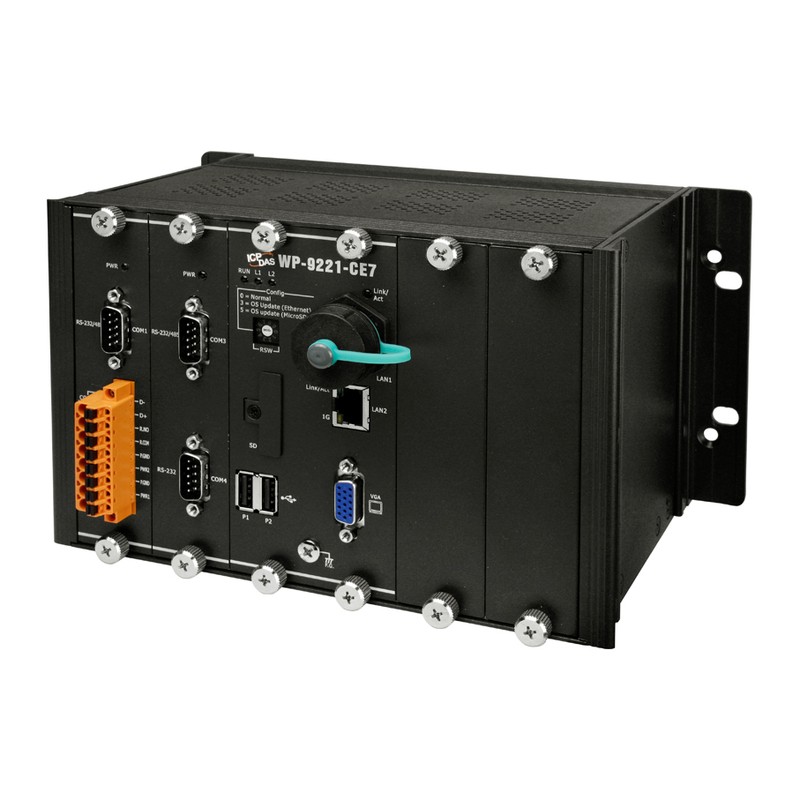 Using Windows CE 7.0 in the WP-9221-CE7 gives it the ability to run PC-based Control software such as Visual Basic.NET, Visual C#, Visual C++, SCADA software, Soft PLC …etc.